Connecticut Authors are GIVING AWAY books to celebrate ‪#‎CTAuthorsDay‬. 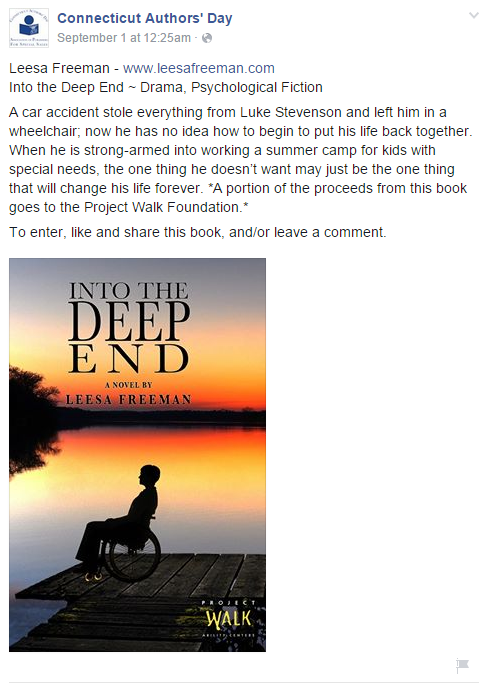 To enter, find the ones below you might be interested in, follow the link, and like and share the book, and/or leave a comment. Each week a new crop of books will appear on the page and you’ll have another opportunity to win one of over forty books donated by our Connecticut Authors. The ones listed below are available for contest entry through the 7th of September and on the 8th a new set will be listed. 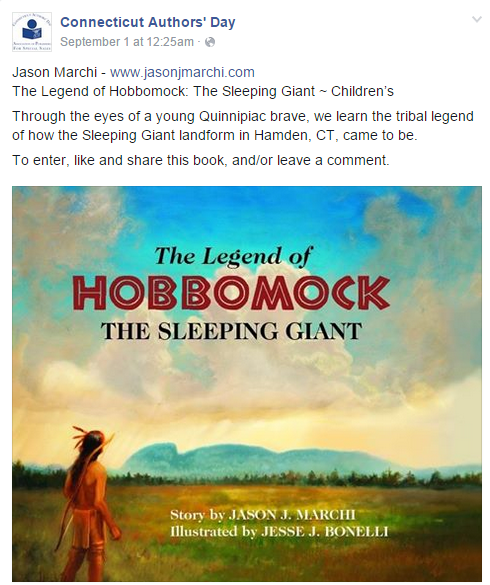 Through the eyes of a young Quinnipiac brave, we learn the tribal legend of how the Sleeping Giant landform in Hamden, CT, came to be. 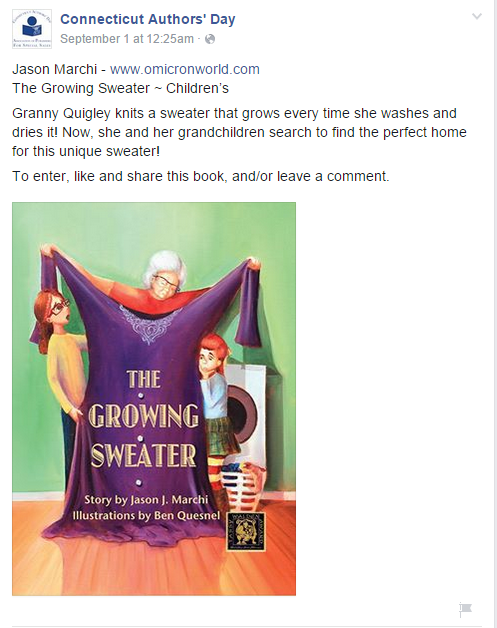 Granny Quigley knits a sweater that grows every time she washes and dries it! Now, she and her grandchildren search to find the perfect home for this unique sweater! 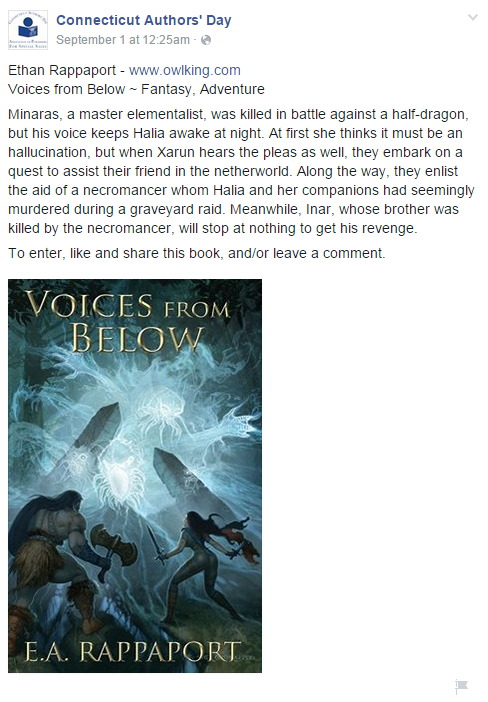 Minaras, a master elementalist, was killed in battle against a half-dragon, but his voice keeps Halia awake at night. At first she thinks it must be an hallucination, but when Xarun hears the pleas as well, they embark on a quest to assist their friend in the netherworld. Along the way, they enlist the aid of a necromancer whom Halia and her companions had seemingly murdered during a graveyard raid. Meanwhile, Inar, whose brother was killed by the necromancer, will stop at nothing to get his revenge. After the thief, Halia, discovers a crystal sphere magically protected in a crumbling castle, she meets three other adventurers with their own mysterious spheres. Arwold, the knight, bears one on the hilt of his sword. 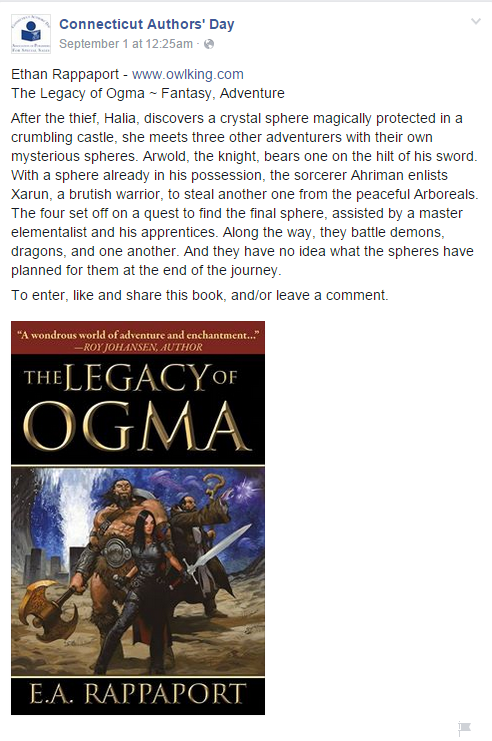 With a sphere already in his possession, the sorcerer Ahriman enlists Xarun, a brutish warrior, to steal another one from the peaceful Arboreals. The four set off on a quest to find the final sphere, assisted by a master elementalist and his apprentices. Along the way, they battle demons, dragons, and one another. And they have no idea what the spheres have planned for them at the end of the journey. 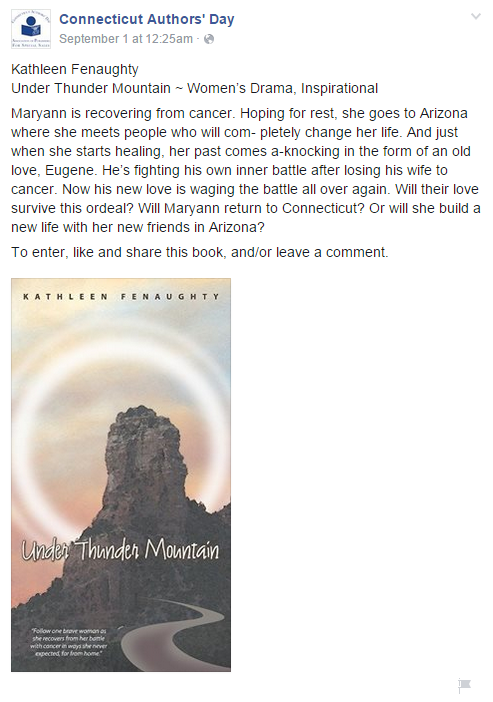 Maryann is recovering from cancer. Hoping for rest, she goes to Arizona where she meets people who will com- pletely change her life. And just when she starts healing, her past comes a-knocking in the form of an old love, Eugene. He’s fighting his own inner battle after losing his wife to cancer. Now his new love is waging the battle all over again. Will their love survive this ordeal? Will Maryann return to Connecticut? Or will she build a new life with her new friends in Arizona? 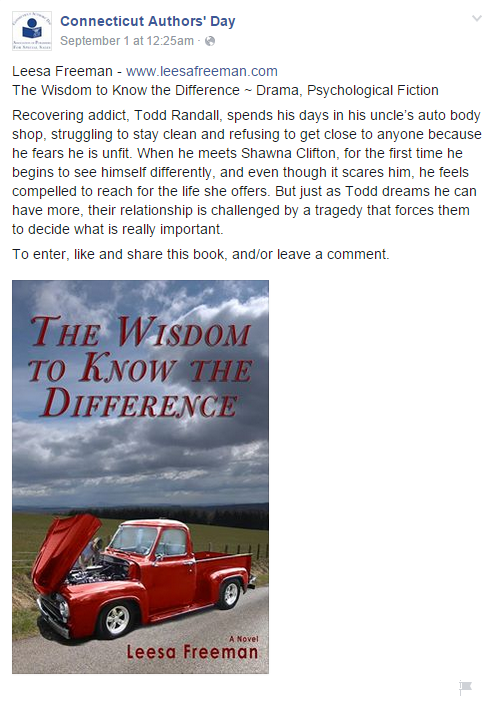 Recovering addict, Todd Randall, spends his days in his uncle’s auto body shop, struggling to stay clean and refusing to get close to anyone because he fears he is unfit. When he meets Shawna Clifton, for the first time he begins to see himself differently, and even though it scares him, he feels compelled to reach for the life she offers. But just as Todd dreams he can have more, their relationship is challenged by a tragedy that forces them to decide what is really important. 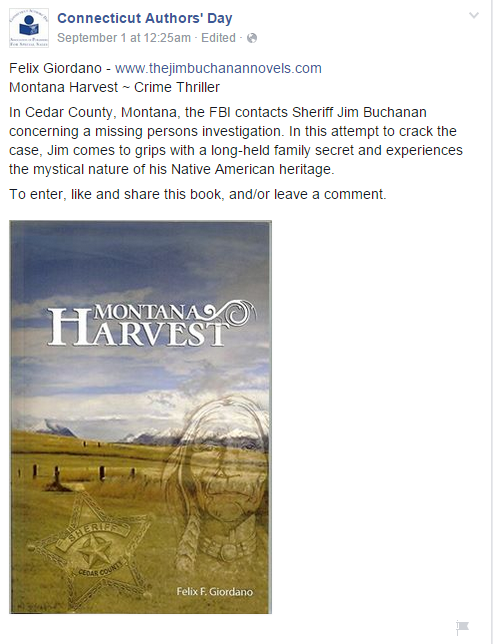 In Cedar County, Montana, the FBI contacts Sheriff Jim Buchanan concerning a missing persons investigation. In this attempt to crack the case, Jim comes to grips with a long-held family secret and experiences the mystical nature of his Native American heritage. 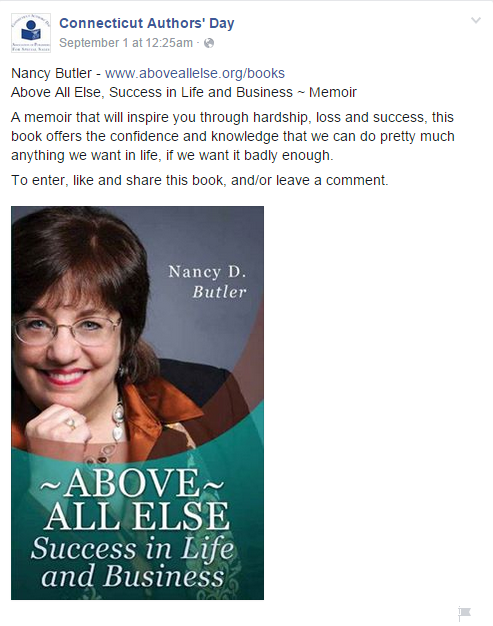 A memoir that will inspire you through hardship, loss and success, this book offers the confidence and knowledge that we can do pretty much anything we want in life, if we want it badly enough. 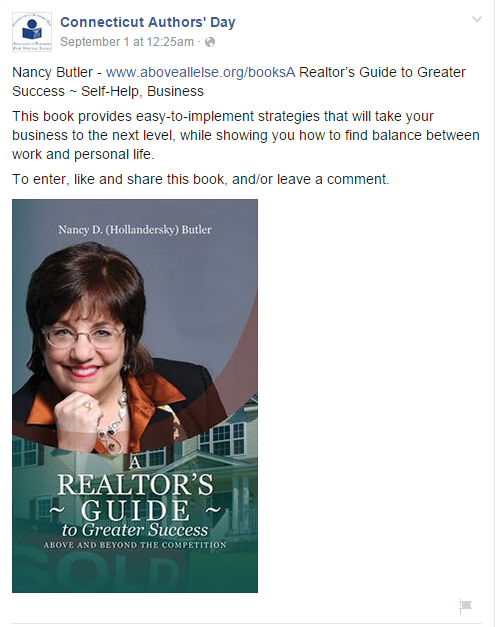 This book provides easy-to-implement strategies that will take your business to the next level, while showing you how to find balance between work and personal life. 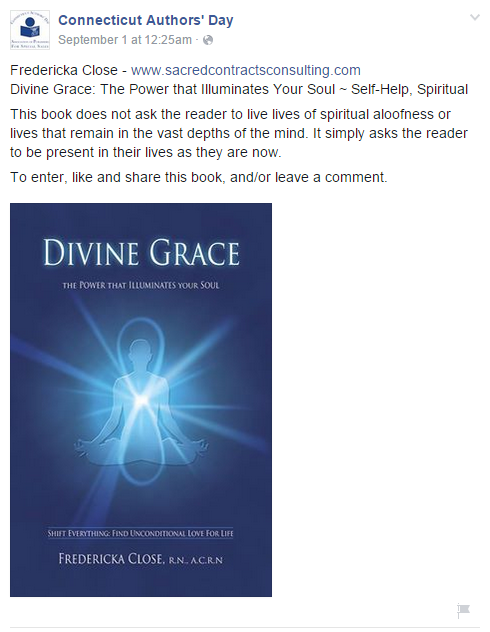 This book does not ask the reader to live lives of spiritual aloofness or lives that remain in the vast depths of the mind. It simply asks the reader to be present in their lives as they are now. In this unique blend of memoir and how-to, learn strategies for transforming the scarred life of a victim into the healed and joyous life of a survivor. 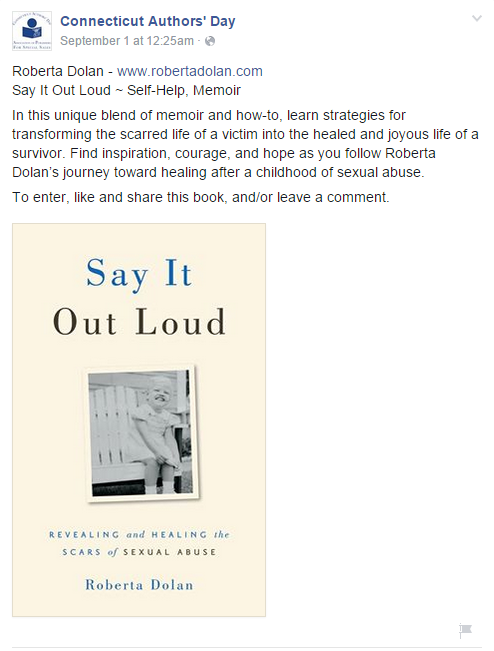 Find inspiration, courage, and hope as you follow Roberta Dolan’s journey toward healing after a childhood of sexual abuse. 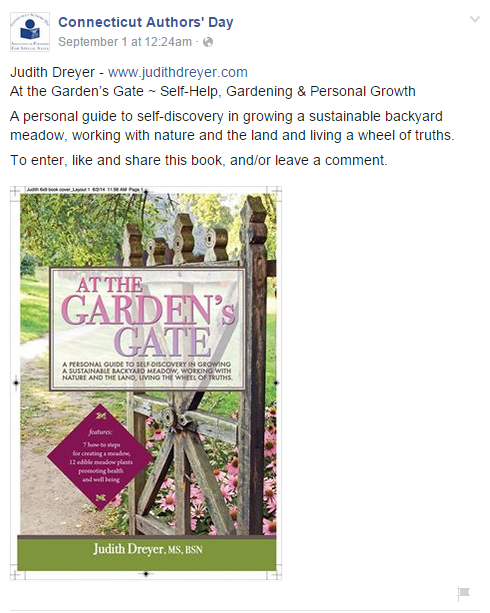 A personal guide to self-discovery in growing a sustainable backyard meadow, working with nature and the land and living a wheel of truths.